Barnsley have signed defender Liam Lindsay from Partick Thistle for an undisclosed fee. 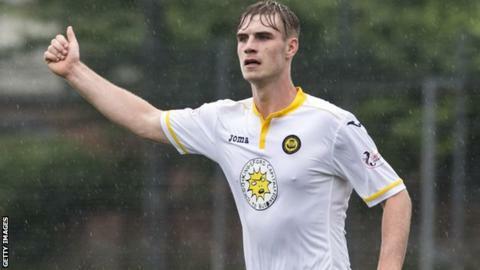 The 21-year-old centre-back has agreed a three-year contract at Oakwell after making 42 appearances for Scottish Premiership club Thistle last season. "He comes off the back of an exceptional season in Scotland and we believe he will kick on here," said Barnsley boss Paul Heckingbottom. Lindsay rejected the chance to join League One club Oxford United last week. He is Barnsley's third summer signing following the arrival of St Mirren midfielder Stevie Mallan and Southampton full-back Jason McCarthy.